This building represents what one man hoped to give the world - an opportunity to be made better by those who are provided the opportunity to make it so. the greatest hero of World War I.
to life for generations to come. The Sgt. Alvin C. York State Historic Park, is located in Pall Mall, Tennessee. Join us as we remember and recognize the citizens who served during World War I. Representing peace and valor — a hero’s legacy to the world. With a motto of "Legacy in Action," the Sgt. York Patriotic Foundation (SYPF) is preserving and promoting the legacy of America's greatest WWI hero, Fentress County native Sgt. 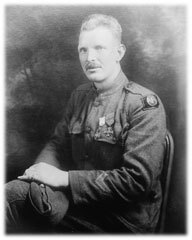 Alvin C. York.